These cars are the best performers according to Real MPG users, coming very close to matching their official economy figures in real world, day-to-day driving. Some of these cars aren’t exactly designed with economy in mind, of course – but at least you can trust the numbers from the brochure. 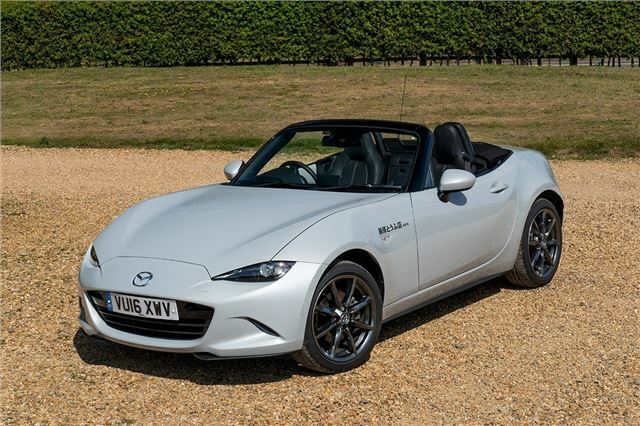 The MX-5 is one of the best cars of recent years, providing huge fun and top-down motoring at an affordable cost. It’s not all that economical according to official figures, but they’re official figures you can trust. In fact, on average our Real MPG users can exceed the official economy numbers ever so slightly. Owners tend to do a better job of beating the official figures with the 2.0-litre model, rather than the less potent 1.5-litre, but either way you should be able get upwards of 40mpg in real world driving. Not bad at all for such an exciting, fun-to-drive little sports car. Huh! An old banger of a Peugeot 406 HDi makes the MX5 mpg look very thirsty indeed. Fascinating selection of cars but does this relate more to the type of drivers that both choose these cars and choose to post here? For example, the Jetta is almost identical in all important fuel consumption parameters as many other VAG cars, but perhaps "more sedate" drivers choose tbem? Three months into the latest model MX5 2.0. I'm averaging over 44mpg on a mixture of about town, commute and fun country roads driving. Living in North Wales and trying to keep a clean licence, the MPG probably reflects in driving attitude. What I have found remarkable is that you don't have to risk your licence to have fun. There is nothing better to lift the spirits, hood down (even on cloudy days) cantering into the sunset, in this sweet surprising agile car. Guaranteed to bring a smile to your face and a cheer to your day. I do use high grade 97 Ron fuel as recommended by Honest John which may contribute to the MPG.